As the Greeks (Mycenaeans) were burning Spartan Troy to the ground in c. 1200 BC, Aeneas is speaking to his royal, frail father Anchises in the Roman author Virgil’s epic about the founding of Rome, the Aeneid II. 857-863. Aeneas, the Spartan founder of Rome in Virgil’s Aeneid written c. 1,000 years after the Fall of Troy, says Aeneas fled burning Troy with his father on his back. Aeneas, his young son Julus, his father Anchises and followers eventually land and settle in Italy (then Latium). 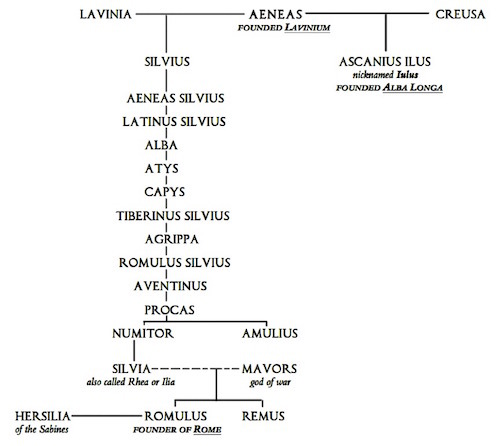 There, according to Virgil, royal Aeneas and his progeny become the progenitors of the Roman people through Romulus who founded the eponymous Rome. When Aeneas’ father Anchises dies, there are ceremonial funeral competitions and games in honor of him. 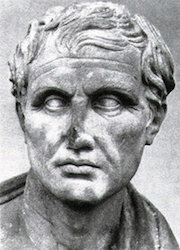 Aeneas’ son Julus aka Ascanius initiated the first Game of Troy at that time. It concluded the ceremony and apparently featured young noblemen like Julus on horseback doing various coordinated maneuvers and labyrinthine exercises like our modern quadrilles. The Troy Game (Latin Lusus Troiae aka Ludus Troiae aka Ludicrum Troiae) was passed on from generation to generation and went from a funeral ceremony event to a feature at the games in the Circus Maximus. 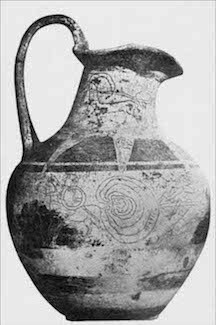 We do not know precisely what this “Game” entailed, but there are hints on a few vases that it was a coordinated, circular drill. 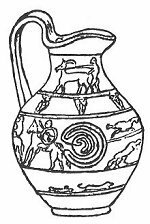 On this Etruscan wine vase (left), notice the labyrinthine circle behind the horse, perhaps meant to indicate the course of the Game. 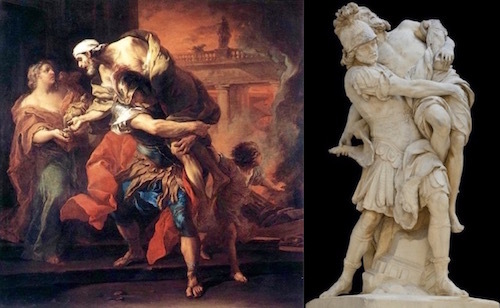 Since the Game of Troy appears to have Cretan/Minoan Labyrinth origins, it was of pre-Aeneas origin and was used by Publius Vergilius Maro (aka Virgil, 70-19 BC) to elevate the Roman royal Spartan genealogy hence Virgil (left) named it Game of Troy? Whatever its origin, Rome appropriated it through Virgil. For the intricacies of the Game of Troy, let Virgil best describe it in his Aeneid 5.5.580-593. Translation by Robert Fitzgerald. They wheeled and dipped their lances for a charge.